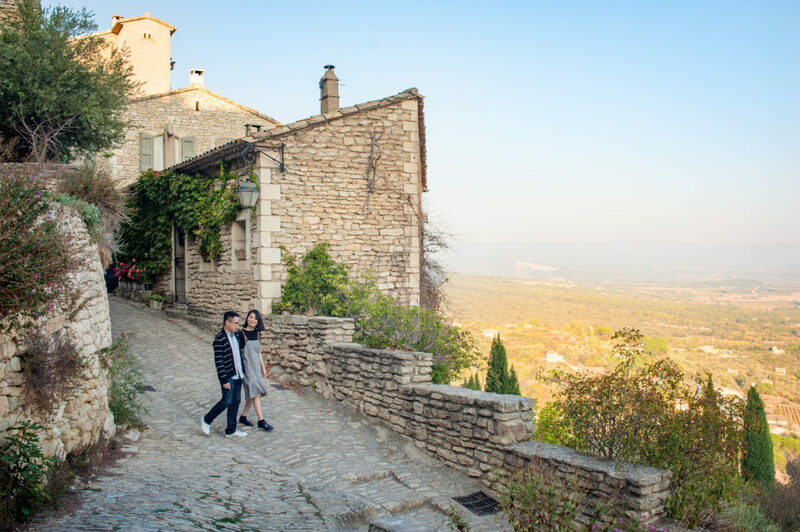 This spot in the upper Luberon national park requires a bit of a hike to reach the medieval fortress. 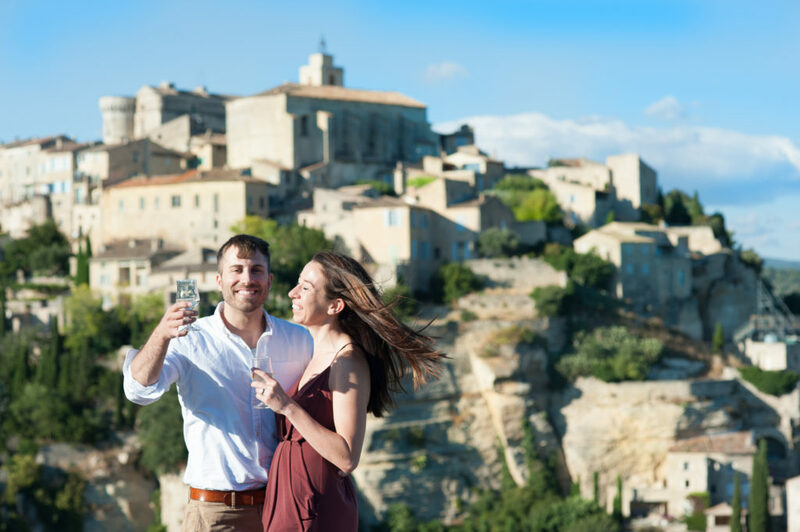 Once up there, you’ll have access to views of the Luberon as well as find the ruins of a castle that spanned many centuries and it’s 11th-century chapel. 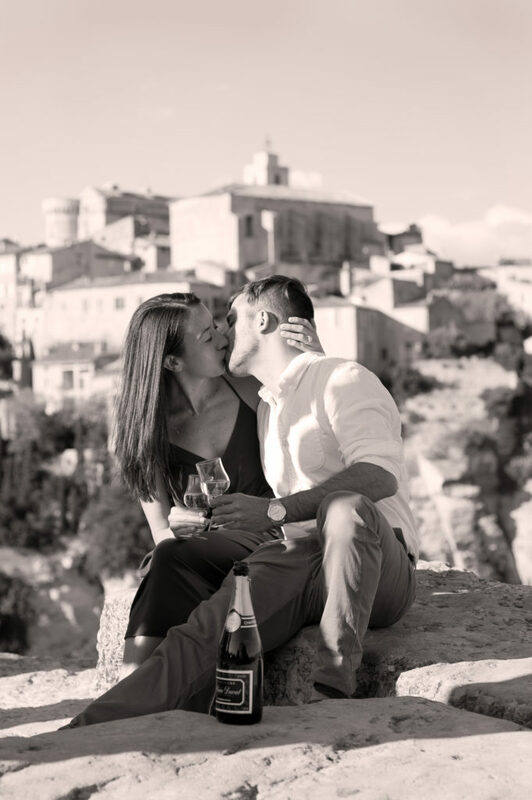 Personally, I find that the backdrop of the manor house at Baumaniere hotel in Les Baux de Provence is a magnificent backdrop. It’s also usually quiet and located next to a gorgeous restaurant. What else could you ask for? This beautiful village showcases a distinctive style of drystone. The shutters and doors are varying shades of blue and green. 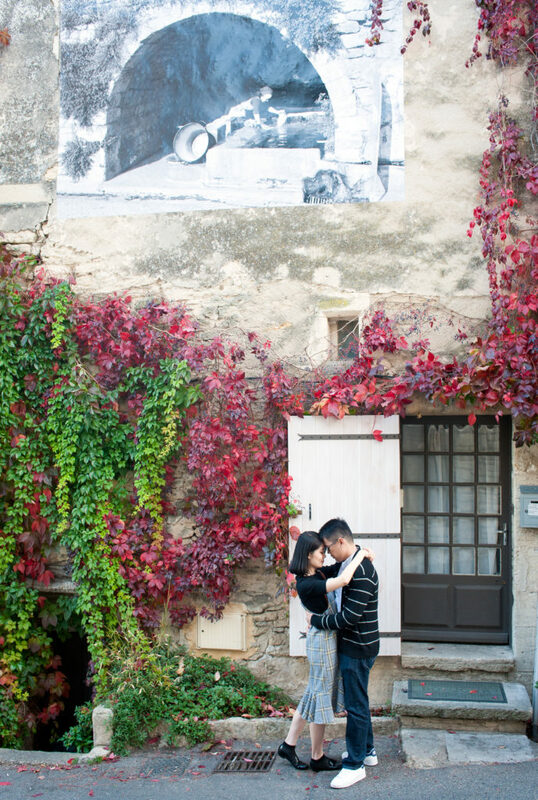 The cobblestone streets are ideal if you’re looking for that idyllic European romantic flavour. Oh, those rows and rows of romantic violet, fragrant flowers. What could be more perfect? The problem is that the fields can be tricky for a number of reasons. If it’s a surprise, which I hope it is, you’ll definitely need someone on the ground (like me?) making sure the flowers haven’t been cut the day of the proposal. Lavander is only around about 3 weeks of the year. The flowers are cut when the flowers are blooming at their fullest. It can be tricky to coordinate if you’re planning on a big surprise unless you have someone checking for you. 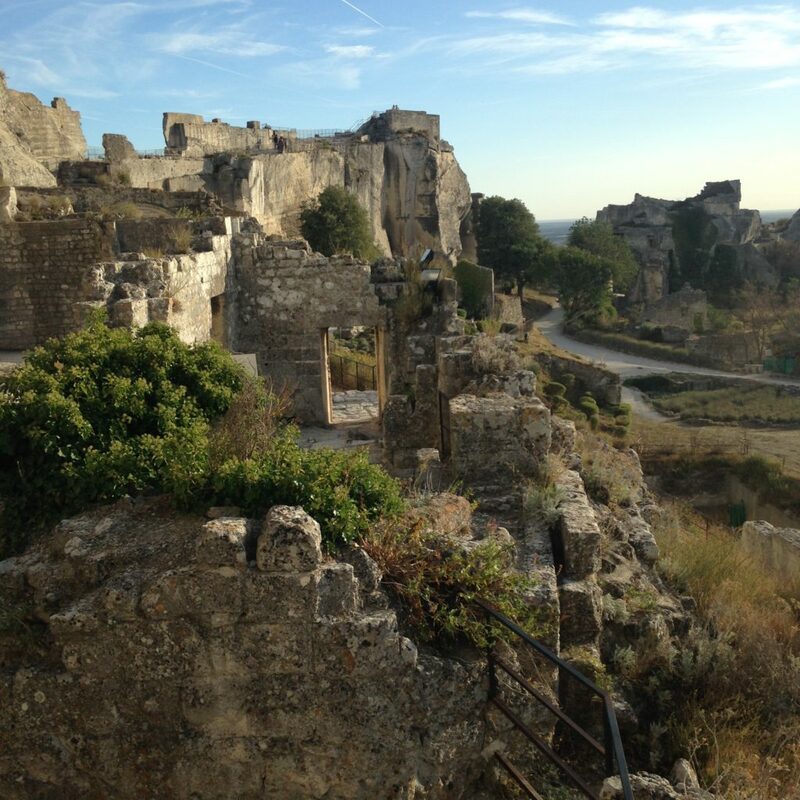 This is the lookout over the gorgeous hilltop town of Gordes. It is absolutely ideal. I honestly couldn’t think of a better spot. The only tricky thing is that it’s quite popular during most of the year. If you’re not shy- this is not a problem. If you’d rather something more private, read on. Sunflowers, like lavender, can be fickle things. They’re only around for a short period of time and can be tricky to track down. You’ll find many expansive fields around Arles. 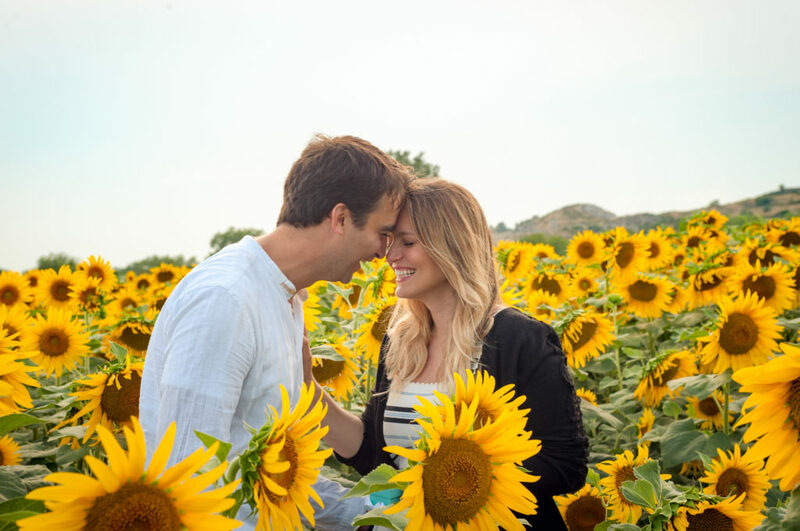 If you’re looking for a beautiful photo, the best would be to ask your photographer’s advice as not all sunflowers are created equal. They also, of course, follow the sun. Knowing what time of day to ask your big question is key. 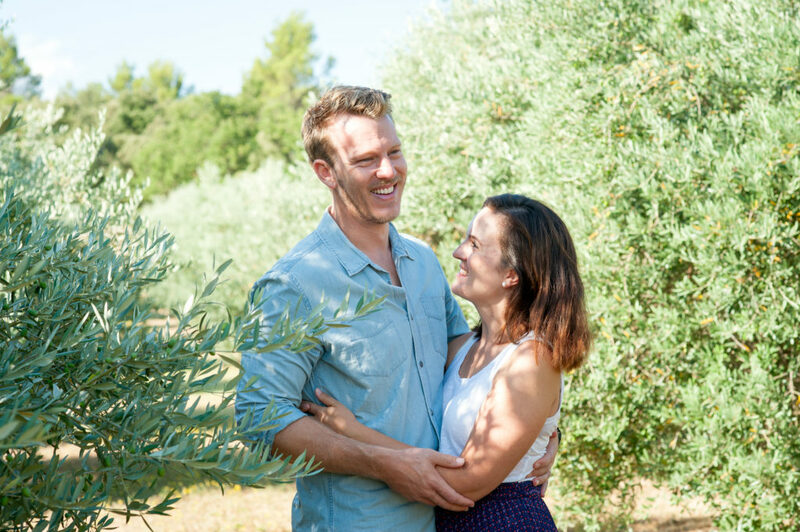 Personally, I’m in love with olive groves, never mind potential men that may ask for my hand in the dappled light of the groves… The rows of trees are expansive for privacy, provide beautiful lighting and are oh so Provence. Please feel free to add your suggestions! I’d love to hear your thoughts. 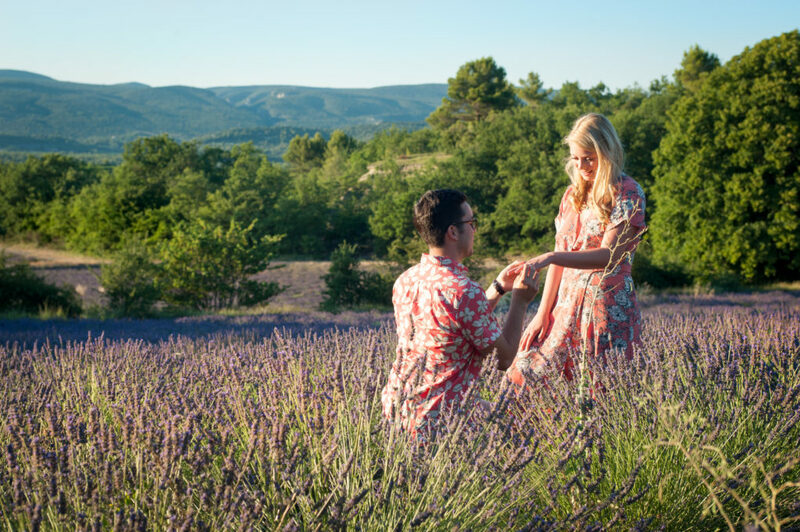 If you’re planning on proposing in the Provence area, feel free to contact me if you have any questions. My family will be renting a villa in Eygalieres from July 6 to July 13th. My wife loves sunflowers and Lavender. Where would you recommend I drive for her to see the best fields?